Adventure Pilgrims Trekking fulfill the dream of every climbers and adventure seekers to scale Everest Classic Trekking and hold world record and treks to glimpse it’s amazing views since early days of the climbing history in Nepal’s top of the world (8,848) peak. Mt. 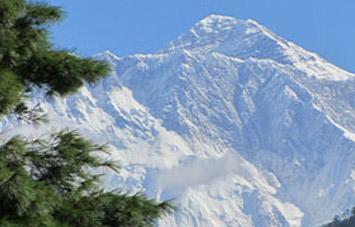 Everest Trekking route becomes one of the most popular trails among the outfitters. Getting a test of unique Sherpa culture and their Hospitalities, most of the trekking days will be spent above altitude of 3000m in the Khumbu and Imja Khola valleys exploration- there will be plenty of time to enjoy the local culture of the Sherpa people, visiting ancient monasteries, learn about Buddhism influence in Sherpa’s life and traditional farming system will add to your journey an unforgettable experiences. Trekking to the Everest region will begin with exciting STOL flight to Lukla at 2800 meter above sea level. The trail passes through the picturesque Sherpa cultural villages of around together stunning mountain views via meadow land of upper Khumbu valley and finally you will be at Gorakshep (5140m) the last stop point and from there ascent of Kalapatthar ridge (5545m) from where you can observe classic views of Mt. Everest, Nuptse, Mt Pumori and its many surrounding peaks. 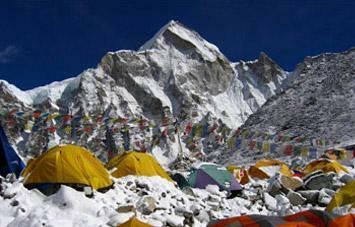 You will be also exploring up to the Everest Base Camp and Khumbu glacier section observation along the entire trip. 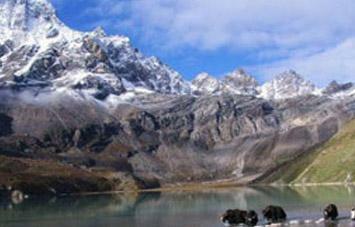 Besides you will be crossing also the famous Cho La pass and enjoy its best panoramic views from Gokyo Lake. You will be met by our airport representative to pick up you to transfer at hotel and brief with our expert and introduce to guide.overnight stay in B.B. basis. Pashupatinath Temple, Boudhanath, Swayambhunath, and Kathmandu Durbar Square after sightseeing back to hotel and overnight stay in B.B. basis. End the trip and transfer to hotel, rest and afternoon free for personal activities. Day 21 : After breakfast transfer to airport for International departure. Road blocked, weather permitted and personal expenses. We can offer you a customized itinerary and cost for this trip as well please make some days in Kathmandu to see the city and other places as well, please advice us also regarding to hotel which we have very good hotels and home stay with us as well we can pick up you from airport.